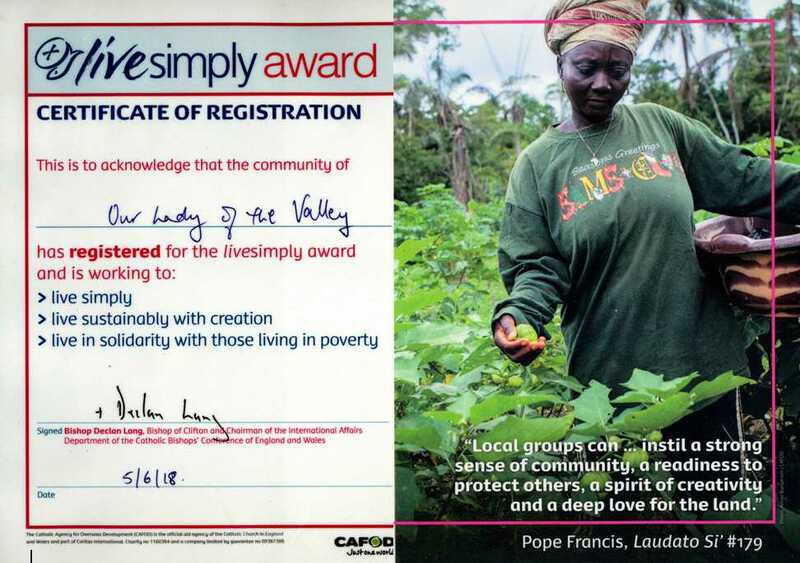 Our Parish application for the CAFOD Live Simply Award is now registered. See the registration certificate on the notice board in the porch. Keep up with activities and offerings via our webpage on the Parish website. Posted in Clitheroe, Dunsop Bridge, Laudato si', Sabden.